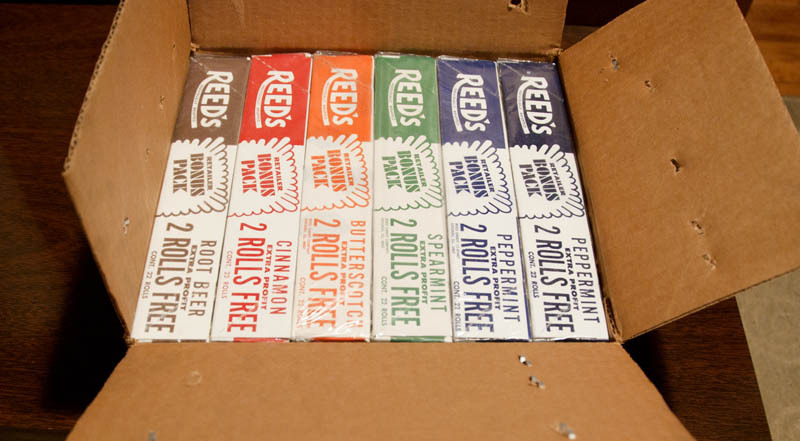 Cracking the case reveal a Reeds-rainbow of vintage candy goodness. Where can I buy Reeds? I would want cinnamon and butterscotch.can I order from someplace? Please. Reeds are back, Terry. They’re pretty good, though definitely not the same candy that they were 40-years-ago. You can usually find them in the specialty nostalgic candy stores. They might be available online, but I’m not sure where, off the top of my head.